Welcome to Discount Dock Supply! We're your one stop shopping for all your dock building product needs! 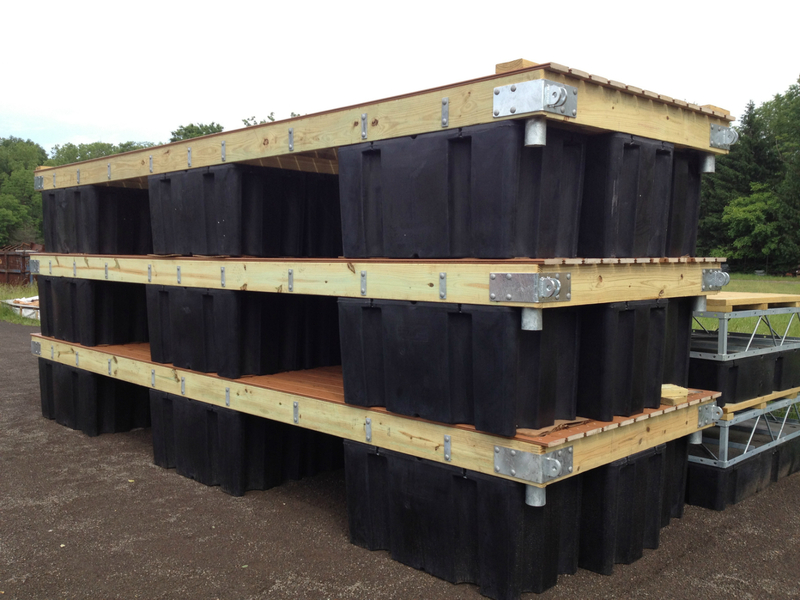 Our products are preferred by the Do-it-yourselfer or dock building professional. Discount Dock Supply products are all "Made In The USA" by manufacturers who make quality control job one! Our most popular product, the marine industry standard Eagle Floats™ is the most trusted encapsulated float on the market. Eagle Floats™ are the choice flotation of international marine contractors and custom private dock builders alike. With over 80 sizes available, from our smallest rowing float to our collosal 4'x8'x3' float providing over 5,000 pounds of buoyancy, we have the dock float to meet your needs! 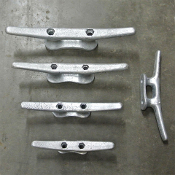 We can also fabricate your custom steel frame and aluminum boat dock. 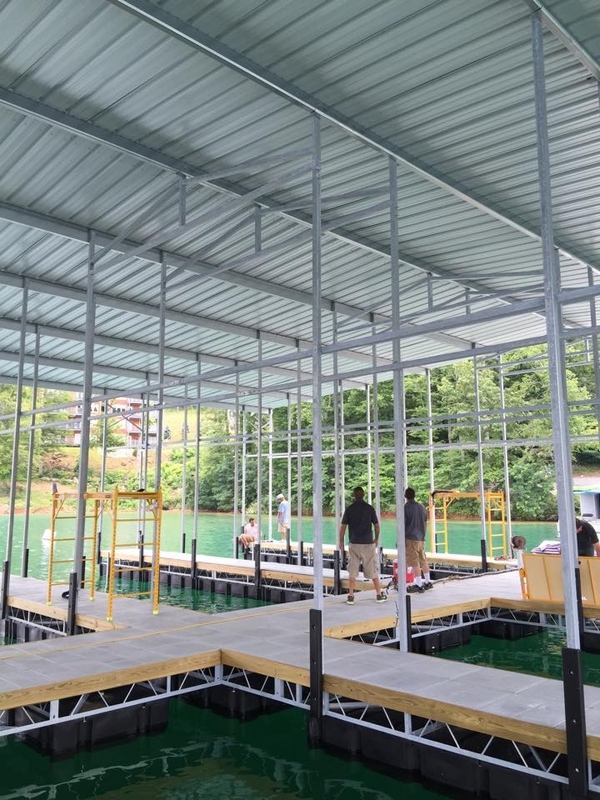 Whether you need a small steel platform or gangway up to a full custom slip dock, complete with installation. All docks are fabricated specific to the customers needs and desires. 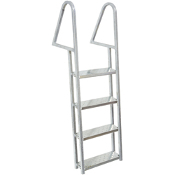 Other products include steel truss frames, galvanized steel dock hardware, ladders, rubrail, dock bumpers and more. Again, all from leading industry manufacturers and "Made In The USA". Please call customer service at 931-261-0197 or email sales@discountdocksupply.com if you require assistance during your visit or to speak to a product specialist about your project's requirements. Discount Dock Supply is Military Veteran Owned! 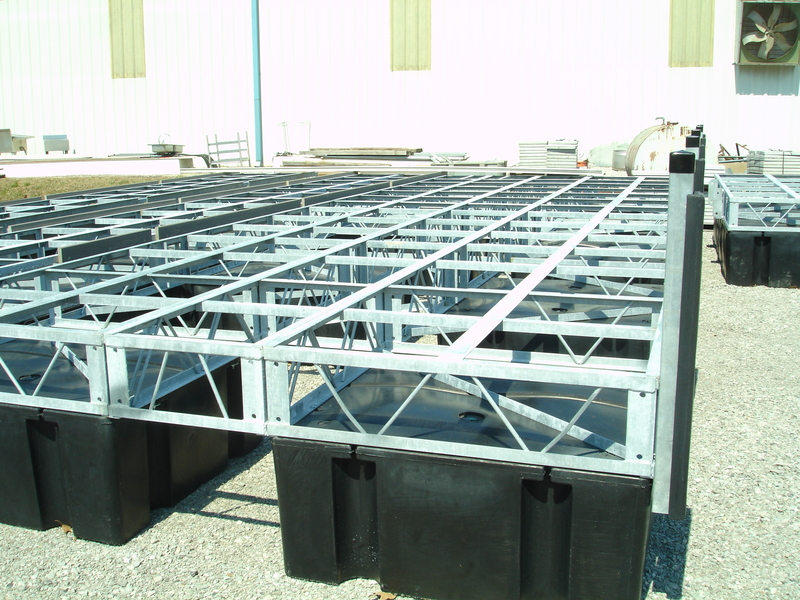 Some of our most popular selling items are standard and residential dock hardware, steel truss frames, custom residential boat docks, commercial docks and of course Eagle Floats™. With any quality structure a solid foundation is a must! 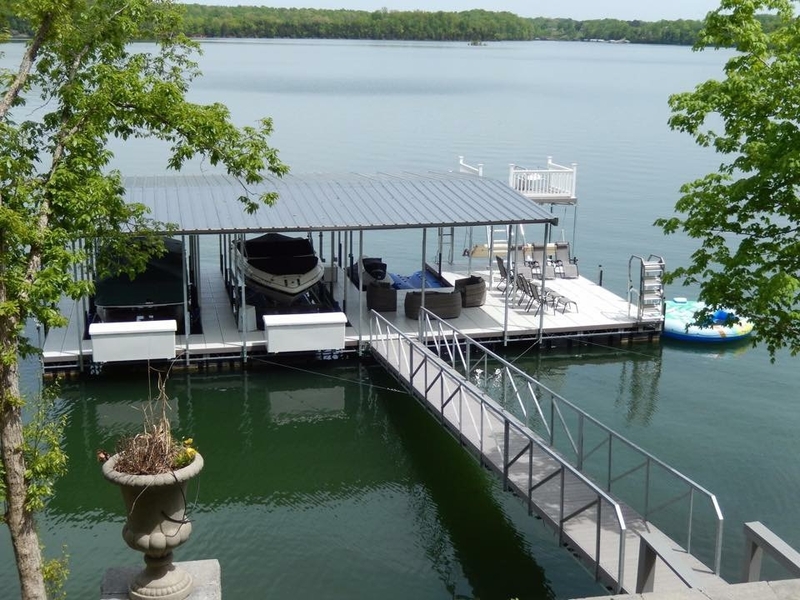 With a floating dock that means a durable dock float that will withstand the punishment required of a floating structure. Discount Dock Supply offers the most reliable dock float in the floating dock industry, Eagle Floats™. Eagle Floats™ are manufactured in the USA by Hendren Plastics utilizing the latest rotational molding equipment with cutting edge technology such as programmable logic controller and infrared telemetry feedback. 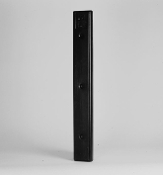 Our state of the art equipment, in-house tooling and engineering allow us to produce over 60 sizes of high quality dock floats at the most affordable prices in the industry. 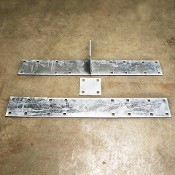 Eagle Floats™ are available in two profiles, the standard attachment with molded in mounting slots and a flanged version with a 1-1/2” wide and 3/8” thick heavy duty mounting flange which encompasses the perimeter of the float. 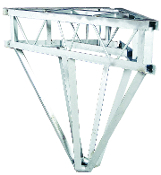 Sizes range from our 8" rowing dock float to our colossal 4x8x36, providing over 5,000 lbs of buoyancy. Both Eagle Floats™ profiles offer seamless rotational molding construction using only 100% virgin resin, .150” nominal wall thickness and solid EPS core with 1 lb density. 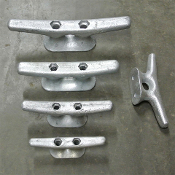 All EPS beads are expanded in a state of the art pre-expander. Every batch is weighed and density checked to maintain precise control of density and uniformity of bead size. 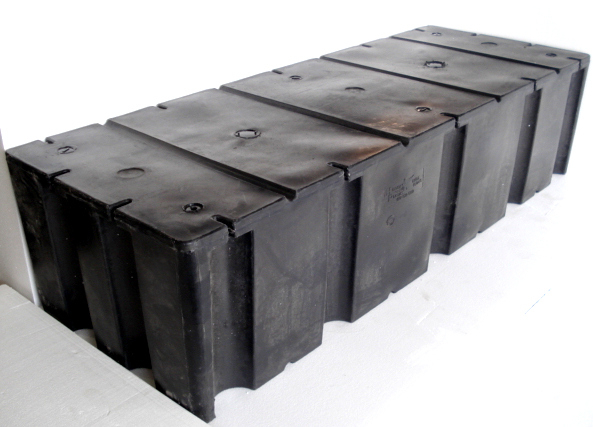 Decades of industry experience allow us to fuse the best foam block inside the plastic shell. Onsite laboratory testing ensures the most stringent quality control measures are met on a daily basis. Eagle Floats™ have a 15 year warranty and surpasses the Seven Day Hunt Absorption Test and ASTM 1988-04 Dart Drop Test.